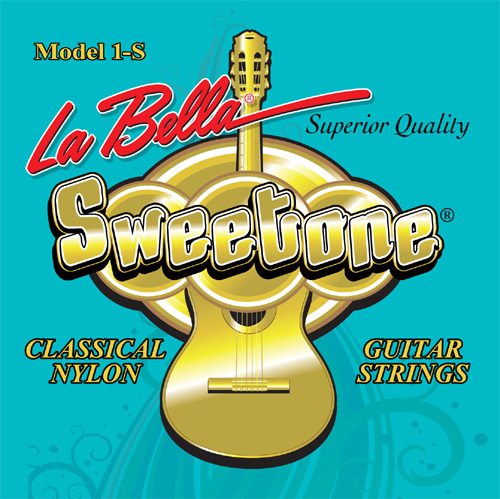 The 1-S Sweetone set includes clear nylon trebles and silver-plated wound basses. A student's set recommended for beginners, these strings are extremely low-priced and have a great tone. These are fine strings -- intonation is good, feel is good. I have them on some old Yamaha classicals, and my son really likes them. They are relatively bright, and, like many LaBella strings, low-normal tension. The tension charts are not available, but these feel higher in tension than the LaBella 2001 light tension, but lower than, say, D'addario EJ45. I would reserve a 5-star review for something that really sounded "magical" - so only 4 stars. However, don't be afraid to get these if you are curious, they work just fine.